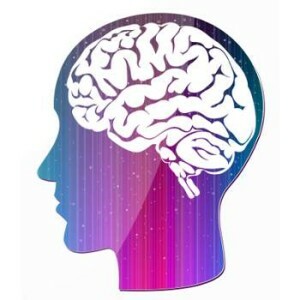 Home › Brain & Neurological › Does GABA really relax and rejuvenate? Reducing our stress levels certainly feels good, and often gives us a new perspective on life, so it’s no wonder that a certain group of anti-depressants (known as SSRIs) are so popular. But in light of the widely-reported side effects with the long-term use of anti-depressants, are there natural solutions that do the same thing in a healthier, more sustainable way? One of the most popular natural relaxants is GABA (gamma-aminobutyric acid); an amino acid that is naturally produced in the body but is deficient in some people. GABA has been found to provide benefits such as improving mood, reducing symptoms of premenstrual syndrome (PMS), and treating attention deficit/hyperactivity disorder (ADHD). A number of studies show that, when the body has enough of it, GABA alters brain waves in such a way that anxiety is reduced, feelings of well-being are increased, and sleep comes better at night. A new study even indicates that increasing GABA levels in the brain can restore youthful flexibility to the adult brain. While the potential is exciting, can you expect such results through GABA supplementation, or are the claims mostly just hype? One thing that is clear is that those with proper GABA levels in the brain are better off. According to a study published in Biological Psychiatry, treatments that correct GABA imbalances can boost the brain’s production of alpha waves that help alleviate certain mood disorders and make people feel less stressed. The brain produces different types of electrical activity that are known as brain waves. Alpha waves are considered a sign of relaxed activity in the brain and are commonly felt after activities like meditation or yoga. Even just closing your eyes for a minute or so can temporarily increase alpha wave activity until you open your eyes again. Without sufficient GABA levels, the brain produces too many beta waves. These are associated with alert cognitive tasks and mental activities, but take a tremendous amount of energy. This is problematic because, although moderate levels of beta waves are what help people solve puzzles or find the answer to a tough math problem, too many of them increases stress and anxiety. Excessive beta wave activity, which is more common in adults than children, often leaves people unable to block out excessive brain activity that may lead to feeling worried or sad. Higher levels of GABA in the brain appear to moderate these beta waves down to a more reasonable and useful quantity. The researchers in the study from Biological Psychiatry found that common pharmaceuticals that attempt to fix mood disorders (like anxiety) don’t work as intended because they only fix imbalances in neurotransmitters such as serotonin and dopamine; not GABA imbalances. The study claims that GABA is part of the brain system that allows us to fine-tune our moods, thoughts, and actions with an incredible level of detail. Can GABA help with anything else? Another study from researchers at Thomas Jefferson University Hospital not only confirmed that GABA can ease feelings of anxiety, but also found that maintaining GABA levels can help with sleep problems. When there is too little GABA in the brain, those beta waves take over and it causes the racing thoughts that characterize anxiety and can keep you up at night. Scientifically speaking, the body has trouble entering the “deep” delta sleep (which usually begins 45 minutes after you fall asleep) without sufficient GABA. Addressing this problem can keep those struggling with sleep from developing insomnia-related mood disorders. There’s even an intriguing new study that shows GABA may help us defy the “old dogs can’t learn new tricks” saying. Neurobiologists at UC Irvine transplanted a certain type of embryonic neuron into the brains of adult mice with the hopes that it could restore the flexibility of their brains. The transplanted neurons expressed GABA and, remarkably, the experiment had its intended effect and old mice learned new tricks quicker! The tests successfully restored youthful flexibility to the adult brains, known as brain plasticity, allowing the brains to make the rapid and robust changes in neural pathways and synapses that happen when juveniles learn and experience new things. By increasing GABA levels through the transplanted neurons, the researchers were able to reactivate brain plasticity. Ever heard about how much harder it is for adults to learn a new language than it is for kids? The adult brain’s connections are hard to change. In children, however, novel experiences rapidly mold new connections during critical periods of brain development. If these results are replicated by future studies and found to be accurate, GABA neuron transplantation might have future clinical applications that include not only helping older brains learn better, but also developing new treatments for developmental brain disorders such as autism and schizophrenia and treatment following traumatic brain injury (including strokes). The problem with all of this is that science is conflicted on whether oral GABA supplements are able to cross the blood-brain barrier and make these changes to our brain. Many researchers say that the body prefers to make its own GABA and, as a result, it is hard for supplemental GABA to go from the blood to the brain. However, others say that GABA supplements at high enough doses can reach the brain. There is also a big difference between mice and humans, but the research continues. Only time will tell if GABA supplements are worthy of the hype around them but, in the meantime, here is a tip for increasing the amount of GABA your body produces on its own – eat foods containing high levels of glutamic acid. The amino acid l-glutamine is what directly leads (precursor) to the creation of GABA in the body. Foods like almonds, walnuts, halibut, whole grain oats and wheat, rice bran, and lentils all contain high levels of glutamic acid that give the body what it needs to create its own GABA that can more easily reach the brain. 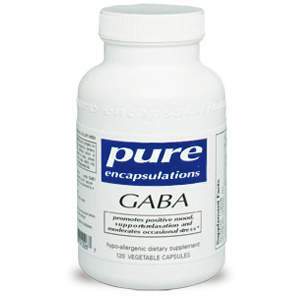 There are those who say that oral GABA supplementation has helped them, though, so if you would like to try it for yourself, I recommend Pure Encapsulations’ GABA. An alternative approach would be to use a high-quality product that gives the body what it needs to make its own GABA, such as Kavinace by NeuroScience. Gamma-aminobutyric acid (GABA) is the primary inhibitory neurotransmitter in the central nervous system. Studies indicate that it promotes positive mood, supports relaxation and moderates occasional stress. One of the most popular natural relaxants is GABA; an amino acid that is naturally produced in our bodies but is deficient in some of us. GABA has been found to improve mood, reduce symptoms of premenstrual syndrome (PMS) and treat attention deficit hyperactivity disorder (ADHD). A number of studies show that, when we have enough of it, GABA alters brain waves in such a way that anxiety is reduced, feelings of well-being are increased, and we sleep better at night. A new study even indicates that increasing GABA levels in the brain can restore youthful flexibility to the adult brain. While the potential is exciting, can you expect such results through GABA supplementation, or are the claims mostly just hype? The brain produces different types of electrical activity known as brain waves; alpha waves are considered a sign of relaxed activity in the brain and are commonly felt after activities like meditation or yoga. Without proper GABA levels, the brain produces too many beta waves – which are associated with alert cognitive tasks and mental activities but take a tremendous amount of energy. This is problematic because, although moderate levels of beta waves are what help us solve puzzles or find the answer to a tough math problem, too many of them increases our stress and anxiety. Excessive beta wave activity, which is more common in adults than children, often leaves us unable to block out excessive brain activity that may make us feel worried or sad. Higher levels of GABA appear to moderate these beta waves down to a more reasonable and useful quantity. The researchers in this study found that common pharmaceuticals that attempt to fix mood disorders, like anxiety, don’t work as intended because they only fix imbalances in neurotransmitters such as serotonin and dopamine; not GABA imbalances. The study claims that GABA is part of the brain system that allows us to fine-tune our moods, thoughts, and actions with an incredible level of detail. When there is too little GABA in the brain, those beta waves take over and it causes the racing thoughts that characterize anxiety and can keep you up at night. There’s even an intriguing new study that shows GABA may help us defy the “old dogs can’t learn new tricks” saying. Neurobiologists at UC Irvine transplanted a certain type of embryonic neuron into the brains of adult mice with the hopes that it could restore the flexibility of their brains. The transplanted neurons express GABA and, remarkably, it seems that the experiment had its intended effect that old mice learned new tricks more quickly!